Here are the most recent Beauteque BB Bag coupon codes! If the recent coupons are not longer valid – use our ongoing promo code to save 10%! 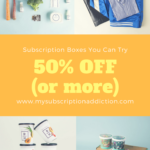 Save 10% off of any length subscription with coupon code CRATEJOY10! 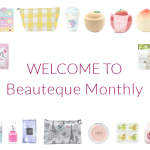 Beauteque Monthly Cyber Monday Deal – Up To 40% Off Subscriptions! Beauteque BB Bag Black Friday – 50% Off First Month! New Beauteque BB Bag and Mask Maven Coupon! Beauteque Subscription Deal – Free Bonus Beauty Bundle!